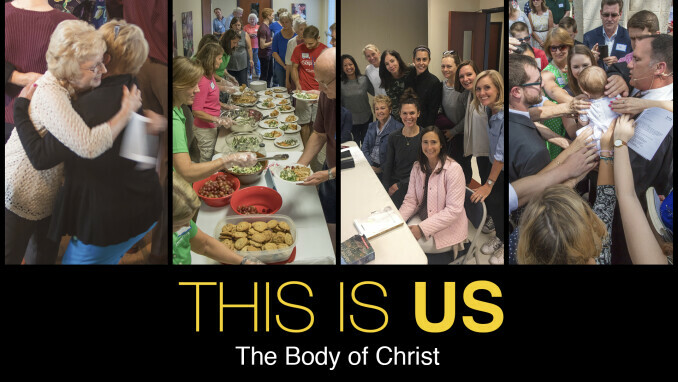 What does it mean to be the Body of Christ? Watch out for yourselves and others, be careful of sin and when you mess up, I commend you to God's grace. From Miletus, Paul sent to Ephesus for the elders of the church. When they arrived, he said to them: “You know how I lived the whole time I was with you, from the first day I came into the province of Asia. I served the Lord with great humility and with tears and in the midst of severe testing by the plots of my Jewish opponents. You know that I have not hesitated to preach anything that would be helpful to you but have taught you publicly and from house to house. I have declared to both Jews and Greeks that they must turn to God in repentance and have faith in our Lord Jesus. And now, compelled by the Spirit, I am going to Jerusalem, not knowing what will happen to me there. I only know that in every city the Holy Spirit warns me that prison and hardships are facing me. However, I consider my life worth nothing to me; my only aim is to finish the race and complete the task the Lord Jesus has given me – the task of testifying the good news of God’s grace. There’s a saying that nobody ever runs “two” marathons. You either do one and you’re done or after you do your first, you’re hooked and run them repeatedly, every chance you get. I most certainly fall in the first category! I hate running! And yet a few years ago, when a few friends in the neighborhood asked me if I wanted to run one with them, I agreed and trained for months, regardless of the weather. During the race, the adrenaline was pumping and I felt like I was flying … for the first few miles. And then I could hear the inner voice mocking me asking me, “Why are you doing this?” But I didn’t stop. I finished. Maybe not in the time I wanted, but I finished. Whether you’re into running or not, I think most people would agree: Life is a marathon, not a sprint. And at times life, like a marathon, will be difficult. Paul is aware of this and this scripture spoke to me and serves as a reminder that things will not always go the way you hope. We all struggle with our own inner demons. We feel pain when we see the ones we love suffering and struggling. There are temptations all around us every day. Giving in or giving up at times seems like the only way to numb or eliminate the pain we are feeling. And yet, it is during those moments that God wants us to rely on Him more than ever. Because when we get through those difficult times and when we rely on the Holy Spirit to guide us, a calm determination can set in and we are reminded of all the sacrifices Jesus made for us. We know that we’re not alone. We are never alone. We just have to keep putting one foot in front of the other, remember that it is more blessed to give than to receive. When we live our lives with perseverance and determination, we stay focused on what our lives were truly meant for: to help others and remind them of God’s grace. Lord Jesus, my friend and my companion in this marathon called life. I thank you for running alongside me. I ask for your help during those times where I feel like giving up. I ask for your help when I am weak and ripe for the evil temptations around me to cause me to lose focus on what my life is meant for. I thank you for all the positive people you have surrounded me with, because I know the part they all play in helping me become the best father, husband, friend, man and Christian I can be! I promise to continue to do the best job I possibly can at spreading your Word so that others may know the joy that I do and appreciate the gifts they have been given. Thank you for hearing my prayer and inspiring me to spread the word! Amen. Ed is a loving husband, father, runs Dates with a Purpose with his wife, Stephanie and according to other players, hits cleanup for the church softball team.